History - The Order of the Daughters of the King, Inc. In 1885, a young 31-year-old Margaret “Maggie” Juliet Franklin, a wife and mother of two, led a women’s Bible study in Manhattan, New York, parish known as the Church of the Holy Sepulchre. This group of women called themselves “Daughters of the King.” Margaret, seeking a deeper, more passionate relationship with Christ and His church, called a meeting of the group on the eve of Easter. The purpose of the meeting was to “arouse their interest and urge their cooperation as a class of definite workers for Christ and His church.” On that night in 1885, what would become known as “The Order of the Daughters of the King®,” was born. The class resolved that there would be prayer to God every day of their lives and that He would empower them for His work. Prayer was very familiar to them, but the power of prayer and its reality came to these women anew. Their mission was simple – to spread the Kingdom of Christ among young women. The Bible class would contact more women and encourage them to come and study the Word of God. They would be “neighborly” to strangers and hand them books. They would get to know these newcomers and established a basis on which they would be attracted to the Kingdom of God. The rector of the Church of the Holy Sepulchre was Rev. James Oatlands Tuttle Smith. He helped found that church in 1862 and served as an Army Chaplain during the Civil War. In 1887 the Rev. Ralph Wood Kenyon became Associate Rector. When Rev. Smith retired in 1888, Rev. Kenyon became priest-in-charge and was later elected rector. After talking with him, the original Bible class members agreed to found an Order, and serve as its Acting Council until 50 chapters had joined them. The Rev. Kenyon consulted his bishop, the Rt. Rev. Henry Potter, for permission to pursue this goal. Within one year (1889) six chapters had affiliated with the Daughters of the King. A year later (1890) there were eleven full chapters. A year after that (1891) 63 chapters were added! In just six short years, they had started 50 chapters, and in 1891 the first national council met in New York at St. Bartholomew’s Church and adopted the constitution that Rev. Kenyon helped to draft. He would become the first chaplain of The Order. On October 25, 1893, the first national convention was convened in Baltimore, Maryland. Nearly 200 delegates attended this convention. They represented 250 chapters and a total membership of about 8,000. Yet The Order was only getting started. In 1894 an additional 103 chapters became affiliated. A year later 94 more chapters were affiliated and in 1896 66 more chapters were added bringing the total number of members to 11,697! 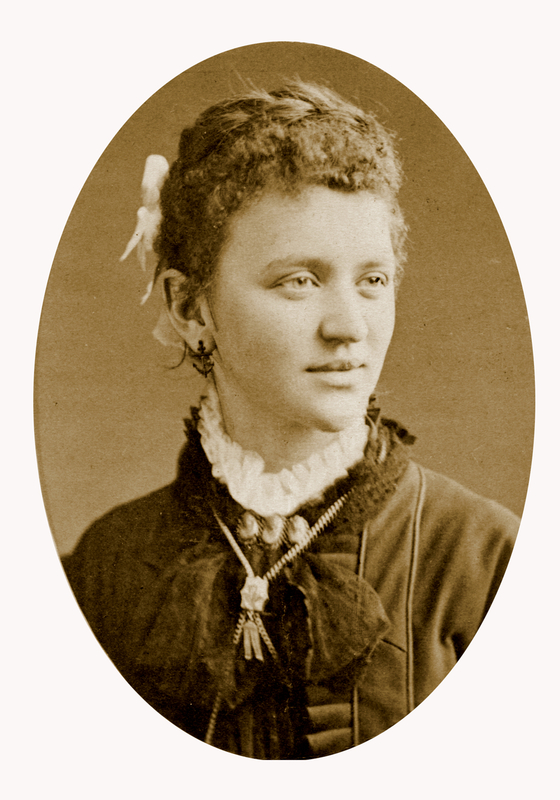 That same year (1896) Mary C. Davenport was a wife and mother of six children and a member of the National Council. Her husband, Rev. Willard Goss Davenport, was rector of Emmanuel Parish, a thriving congregation just outside Washington, DC, in Anacostia. Also a civil war veteran, he was a prominent member of The Brotherhood of St. Andrew. Mary and Willard loved children and devoted a great deal of their time to the needs of children. In fact they founded two homes for orphaned and needy children both of which were run by The Daughters of the King for a time. At Emmanuel Parish Mary selected a group of 12 girls from the children’s guild and introduced them to the idea of praying and serving the Lord Jesus every day. She formed the first girl’s chapter of Daughters of the King and called them her “Junior Daughters.” Her husband, Rev. Davenport, designed a cross for these new Junior Daughters. It was a small silver cross, the same shape as the adult Daughters, with “FHS” across the horizontal bar. The new Junior chapter elected officers and learned the Rule of Prayer and Service. Part of their service was to check on children who missed Sunday school, look after girls their own age, and visit and read to the sick and elderly in their community. This work went on for several years before other senior chapters began organizing their own Junior chapters. During a business meeting of the National Convention of The Order in Atlanta in 1899, Mary asked her sisters to prayerfully consider starting a “Girls Department.” It was designed to “serve as a training school for younger girls on lines similar to those which, it is expected, they would afterward follow as members of The Order, Daughters of the King, and through work and study, develop the spiritual life of younger girls” (see the booklet, Mary Davenport’s “Work Among Girls,” 1899). At half-past one of the afternoon business session, delegates of the Convention voted to form a Junior branch of The Order, its name to be “The Junior Daughters of the King.” To this day Junior Daughters continue to hold an invaluable place in our Order and bring countless girls to a deeper, more passionate relationship with our Lord Jesus Christ. While still in its infancy and reaching out to girls and young women, The Order extended its scope beyond our national borders. In 1895 there were enough chapters in Canada for them to form their own National Council. Within six years there were branches of the Daughters of the King in England, Australia, and China. By the mid-twentieth century the Order had Junior Chapters in China and in the Philippines as well as on a Dakota Indian reservation. The Order has continued to grow both nationally and internationally ever since. Since The Order was founded in New York, it was originally incorporated in that state in 1917 under the official name of “The Order of the Daughters of the King, Inc.” When the national office moved to Atlanta in 1981, The Order was incorporated again in 1986 under the laws of the State of Georgia. In the year 2000, The Order dedicated a new building in Woodstock, Georgia as the Margaret J. Franklin Center, which is home to the National Office and The Order’s Archives. Our history is as rich as our ministry. The Spirit of the Living God truly inspired our founding mothers and the clergy who supported them. Today, over 130 years later, He is still moving among us, fanning the flames of our ministry and drawing all His “Daughters” to a closer, more personal relationship with Him through our dedication to prayer, service and evangelism. More about The Order's history can be found in "Lift High the Cross,"
available through the online store.